Donna Missal, a new artist signed to Harvest Records, wanted a creative collaborator to bring cohesion to her vision, elevate her aesthetic, articulate creative plans for internal and label purposes, and execute all creative outputs to translate across multiple media platforms. During a 3 month period, we created photography artwork for 3 single releases, 4 music videos, numerous social content pieces, an intimate live show set design, full album cover and booklet artwork, and a six-look promotional photoshoot to accompany the forthcoming album release campaign. A 4th single transcends us from the cohesive set of 3 photographs below, and into the album artwork with ease, subtle narrative and creativity - to be released soon. As Creative Director, I brainstormed the overarching themes of the album campaign with Donna, honed in on her ideas to create a cohesive narrative that would carry her throughout the lead time and roll out of her album. I conceptualized and wrote all video, artwork and photography scripts and treatments, and commissioned photographers, stylists, HMUs and directors to execute the vision to the highest standards. As an Executive Producer on video shoots, I would also oversee all budgeting and deliverables, oversee production and crew hires, and ensure the creative stayed on track throughout. Donna Missal’s debut album is out later in 2018. #1 “Thrills”. Executive Produced, Creative Direction & Concept by Storme. Director Justin Bettman. #2 "Driving". Executive Produced, Creative Direction by Storme. Director Justin Bettman. #3 "Girl". Executive Produced, Creative Direction & Written by Storme. Director Justin Bettman. #4 “Keep Lying”. Executive Produced by Storme. Creative Direction & Written by Storme & Donna Missal. Director by Malia James. 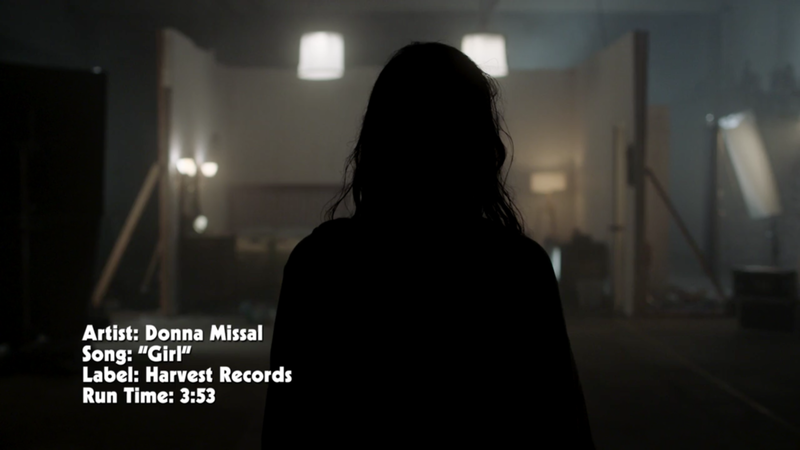 Following on from Donna Missal’s album campaign work, as Executive Producer for all video work, I conceptualized, wrote treatments, commissioned directors, and oversaw all production and budgets for 4 music videos. A cohesive series of 3 videos were released to build momentum, which all lived within the same world. Through a series of cinemagraphs and an initial, cryptic loop-video, we set the scene for this world in a mysterious way to engage fans. As we revealed the second video, it became clear the first video represented a fragment of our video world staged in video 2. Our third video showed Donna walking off set in a single-shot performance to camera, bringing her out of her “music-video world” and into reality as a modern day working woman - neatly setting her up as a current artist and showing the fans an intimacy we don’t usually see in narrative videos. This allowed us to segway from the fictional world into the real world and introduce Donna as a relevant artist in 2018, which would become the theme moving into album artwork. All three singles’ artwork tied into the same video world with wardrobe, carefully selected body angles, shot selection and framing telling an important story that complimented the message of the videos. We carried out a number of impromptu photoshoots along the way with Donna, but most significantly we created a 6-look 3 hour photoshoot, to cover all album artwork and promo shots for various territories. Although a lot of these photos are still to be released throughout the current campaign, here are a few that are already living in the world. In total we produced 8 official shoots over 3 months, and were always on hand with a compact-flash cam and smartphone for any impromptu fun shooting along the way.